Obtaining Portland radon testing is one of the most important steps you can take to protect the health of your family when buying a home in Oregon. Radon studies estimate that 1 out of 4 homes in the Portland metropolitan area has elevated levels of radon that should be mitigated. It can be relatively easy to mitigate radon if discovered in your new home, but it’s best to get a professional test done before closing your real estate transaction so you’ll be able to negotiate the costs of mitigation into your purchase agreement. Nonprofit Home Inspections offers professional level Portland radon testing that follows the EPA’s guidelines for real estate transactions. We use continuous electronic radon monitors that provide instantaneous results after the minimum testing period. Tests run for between 2 to 7 days under “closed home conditions” (meaning normal entry and exit, but not leaving windows and doors open). Ideally the tests will run as long as possible, but the EPA mandates a minimum of 2 days for real estate transactions. At the end of the test, we will provide you with an instant report that gives you overall radon levels as well as hourly readings throughout the length of the test. To find out more about radon in Portland and surrounding communities, feel free to browse through our collection of radon testing procedures, frequently asked questions and radon testing policies. Once you have studied up on radon testing in Portland, feel free to schedule radon testing today! Closed home conditions must be maintained for 12 hours prior to starting the radon test. “Closed home conditions” means that normal exit and entry from the home are okay, but doors and windows shouldn’t be left open. Closed home conditions must be maintained for the entire testing period (typically 48 hours). Not maintaining closed home conditions will invalidate test results and may slow down the real estate transaction. Results are available immediately at the end of the radon test. Our professional grade continuous radon monitors allow for immediate results at the end of the testing period. Radon is a naturally occurring radioactive gas that is formed when byproducts of uranium break down. Radon is odorless, tasteless, and invisible to the naked eye. While radon may not be readily apparent, the damaging effects of radon exposure to your family can be devastating. For nonsmokers, the Surgeon General warns that radon is the leading cause of lung cancer in the United States and causes over 21,000 deaths a year. Depending on your neighborhood, radon levels can be particularly high in Portland and the surrounding communities, putting you and your family at risk. What are the action levels for radon? The Environmental Protection Agency recommends mitigation if radon levels exceed 4.0 pico curies per liter (pCi/L). Nationwide, approximately 1 out of 15 homes will have elevated levels of radon gas. Unfortunately, Portland and surrounding communities are especially prone to high levels of radon exposure because of the ancient Missoula flood plains. Right now, approximately 25% of the homes in the Portland metropolitan area will have elevated levels of radon that exceed the EPA’s and the Surgeon General’s recommendations for radon mitigation. What are different ways to test for radon in Portland and surrounding communities? There are a number of different kinds of tests you can use to test for radon in Portland. The quickest way is to use what’s called a “grab sample.” As the name suggests, a “grab sample” takes a quick sample of the air to determine radon levels at a single moment in time. Because radon levels can fluctuate dramatically from moment to moment, however, grab sampling is not recognized by the EPA as an appropriate testing option for determining radon levels for real estate transactions. A common way for home owners to test for radon in Portland involves using activated charcoal kits that are analyzed by laboratories. Short term tests range from between 2 to 7 days, while long term tests can take several months or longer. As mentioned previously, the longer the test duration, the more accurate your test results will be. Processing of the activated charcoal tests can take weeks for consumers, however, so may not be an option for a time sensitive real estate transaction. Nonprofit Home Inspections uses professional continuous monitors for its inspections. These monitors take samples once an hour and then provide instantaneous results after the entire testing period (normally 2 days for real estate transactions). These monitors also have extensive safeguards to ensure that they have not been tampered with including motion sensors. When should I test for radon In Portland? The EPA recommends testing for radon at least every 2 years or sooner if you have made certain changes to your living conditions. Specifically, you should retest for radon in Portland if you have recently renovated your home or if you started living on a lower level of your home (like in a finished basement). Radon tests are generally conducted on the lowest level of the home that is normally occupied, so changing how you use your home could change radon levels dramatically. There are a number of ways that radon can be introduced into your home. The most common way is for radon to seep in through the ground under your home. The easiest entry points for radon include cracks in floors and foundations, improperly sealed joints, and gaps around water and sewer lines. However, radon gas can pass through concrete, so even homes that are built on solid concrete slabs may be at risk for elevated levels of radon. Radon can also be introduced into the home by some granite counter tops and through tap water (although this isn’t common in Portland since we typically use Bull Run water). What should I do if my radon levels are high? Don’t panic. Discovering that your dream home has high levels of radon does not have to be a deal breaker. The great news is that radon is relatively easy to mitigate in Portland for most homes. Typical radon systems installed by professionals range in cost between $1,600 to several thousand dollars depending on the configuration of the home and the specific soil types. Houses built on loose, rocky soil are generally the easiest to mitigate with sub slab depressurization systems. Once you have determined if the home would like to buy has high levels of radon, you have several options. Depending on the real estate market at the time, you might be able to ask the seller to fix the problem by installing a radon mitigation system or you can ask for a credit so that you can get a radon system installed yourself. In either case, it’s really important to use an experienced, licensed radon mitigation professional that offers a warranty and guaranteed results. Some of the best radon mitigation firms in Portland stand behind their work with ten year warranties. If you are buying a new home, it’s critical to get your home tested for radon right away. The EPA recommends tests ranging from 2 to 7 days, so time is of the essence if you need to get your results back from the laboratory before the end of your discovery period. As part of your real estate transaction, you should ask the buyers for any previous radon tests they have done as well. If you accept previous tests from the sellers, make sure to find out who conducted the tests and their qualifications. You should also ask if any changes have been made to the home since the tests or if living quarters have moved to a lower location within the home. 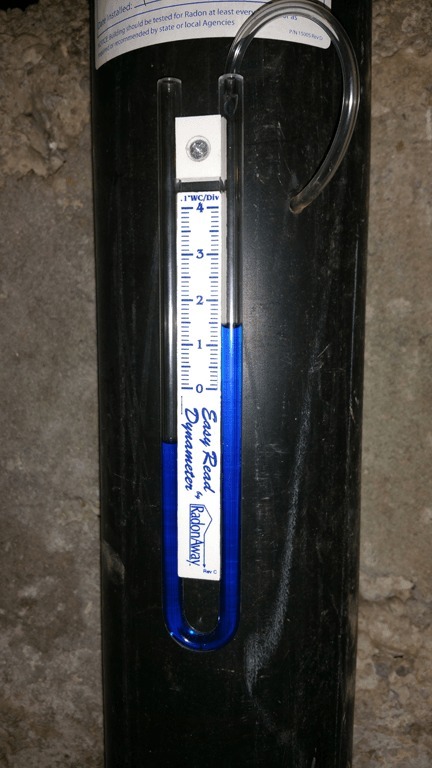 Since radon levels can fluctuate wildly over time, having the results from multiple radon tests can help your radon mitigation contractor design the best mitigation system possible for your new home. What certifications do you have for conducting radon testing in Portland? Nonprofit Home Inspections’ certified home inspectors have earned additional certifications to conduct radon testing in Portland and surrounding communities by the International Association of Certified Home Inspectors (InterNACHI) and the International Association of Certified Indoor Air Consultants (IAC2). Our licensed home inspectors use professional level radon tests and follow EPA mandated testing procedures to insure the most accurate results possible. Where should I test for radon in my home? The EPA recommends placing radon kits in the lowest livable area of your home. In addition, you should consider using multiple tests if there are different kinds of construction within your home (for example if your home is built above a crawlspace in one area and on a slab in another area). Different types of construction will lead to different levels of radon infiltration, so it’s a good idea to check all of the different areas in your home that have been built differently. What should I do if my home already has a radon system? The EPA recommends testing homes at least once every two years even if you have a radon mitigation system in place. Periodic testing will help make sure that your radon reduction system has been installed properly and is getting rid of excess radon. Every radon system is custom built for each particular home and the detected levels of radon, so it’s important to continually monitor and maintain your radon reduction system in Portland. The installation of passive radon mitigation systems are required by code for new construction in some areas with high radon levels. 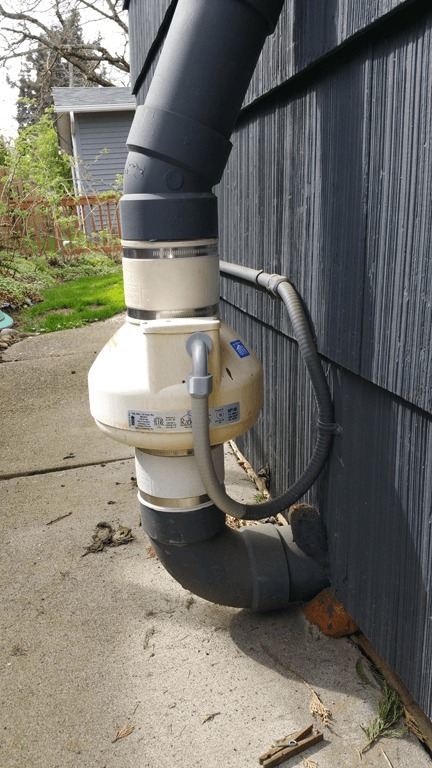 These passive radon reduction systems in Portland can be activated with a radon reduction fan in the future if high levels of radon are detected. Fortunately, activating passive radon reduction systems is very cost effective and can cost only a few hundred dollars if the passive radon system was installed correctly. There are a number of benefits for including a radon reduction system in new construction. Most importantly, radon reduction systems incorporated into the construction process are the most effective systems possible. Preplanning and access to every component of the house means that the system can be installed for maximum efficiency. In addition, homes originally built with radon reduction systems can incorporate the required piping better into the design, resulting in a better looking and more functional home. As stated previously, these passive systems can easily be upgraded to active systems by adding radon reduction fans. 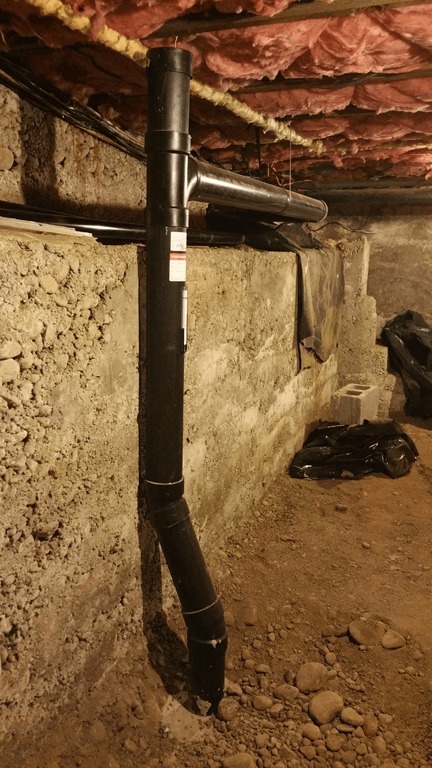 Both passive and active radon reduction systems have the added benefit of reducing moisture levels in the crawlspace as well as reducing the accumulation of other soil gases as well. Absolutely. When done properly following EPA guidelines and testing manufacturer’s instructions, periodic testing for radon in Portland should be integrated into every homeowner’s regular maintenance schedule. The radon test kits that you’ll find in some home improvement stores are not professional grade tests, but they may give you a rough idea of radon levels in your home. These tests often contain hidden lab fees and can take several weeks to process, so if you need results for a real estate transaction, it’s wise to have your home tested for radon by a certified radon tester like Nonprofit Home Inspections. 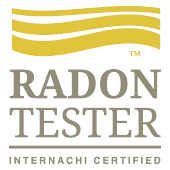 Our inspectors are certified radon testers and we can have your professionally evaluated results back to you within a few days. Having your home evaluated by a professional, certified third party will also give your results an important level of credibility that is critical for real estate transactions. What should I expect when dealing with a radon abatement contractor? If you discover that you have elevated radon levels in Portland, you should compare multiple bids from qualified radon mitigation contractors to make sure you’re getting a good deal. The costs can vary depending on soil conditions and the home’s construction, but radon reduction systems in Portland generally cost between $1,600 and $5,000. Was my current radon reduction system installed correctly? Radon mitigation systems must follow a few basic requirements to fulfill the EPA’s guidelines. To begin with, the air from the radon mitigation system must be discharged at least 10 feet above ground so that it can dissipate into the surrounding air. In addition, this discharge point must be above the eave of the roof and at least 10 feet away from, or two feet above, any window or opening in the house. This is to prevent the radon from reentering the house at extremely high concentrations. The radon fans themselves cannot be located within (or below) any livable space of the home. Normally, radon fans are located outside the home, in the attic, or in the garage as long as there isn’t any livable space above the radon reduction fan. All radon reduction systems must be equipped with a device that alerts the homeowner if the system stops working. This can be a water gauge (manometer), an audible warning, flashing lights, or some other warning device. The homeowners should examine the system often as part of their regular maintenance routine. The radon reduction system also has labeling requirements. This is to prevent accidental modifications to the system that could exacerbate the problem. Once the radon reduction system has been installed, you should wait at least 1 day, but no longer than 30 days, to test again to make sure that the problem has been solved. Homeowners should test their homes every 2 years or less to make sure that the system is continuing to operate as expected. Can I stop radon from entering my home by sealing cracks in the floor? No. Radon gas is able to permeate through concrete even without cracks. Sealing larger areas can help a radon mitigation system work better, but sealing alone will not be effective in reducing overall radon levels. My house is built on a slab – can I still have elevated levels of radon? Absolutely. Radon gas is able to migrate through concrete, so a house that has been built directly onto a slab can also have elevated levels of radon. Missed appointments for setting up or retrieving radon equipment are $50. Because of the high cost of labor and gas, we must charge $50 for missed appointments to drop off or retrieve radon equipment. Help avoid additional charges by making sure that your real estate agent or other responsible party keeps their scheduled appointments. If closed home conditions are not met, re-testing can be requested at the same rate. Please communicate to the current occupants the importance of maintaining closed home conditions during the testing period. Signs will be posted on site, but please reinforce the importance of maintaining proper testing conditions. Radon equipment can be set up in advance of your home inspection for rapid results. Let your inspector know if you would like to have radon equipment set up in advance of your inspection. Because of the closed home conditions requirement, this must be done at least 3 days in advance of your scheduled home inspection.